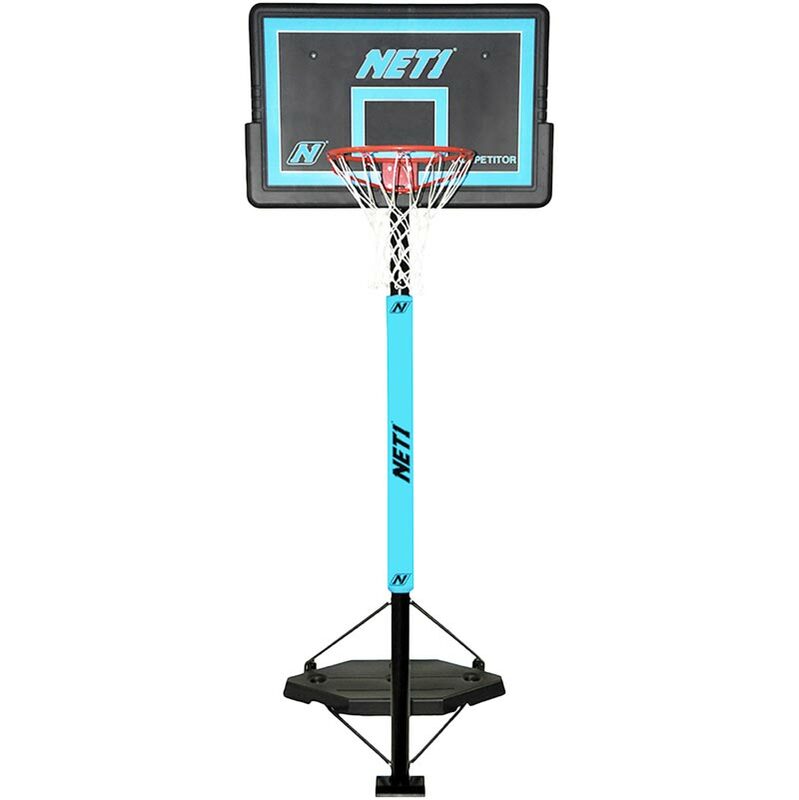 The Net1 Competitor Portable Basketball System features 7.6cm telescopic poles - the Competitor adjusts easily from 2.28 - 3.05m without the use of tools. 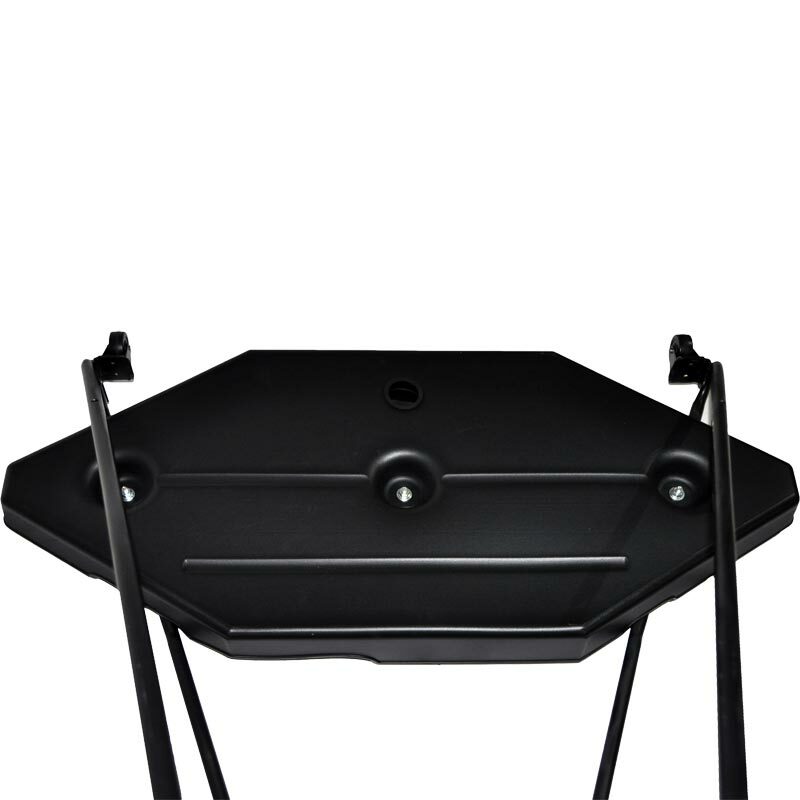 The wheeled base fills with sand or water for stability during use. 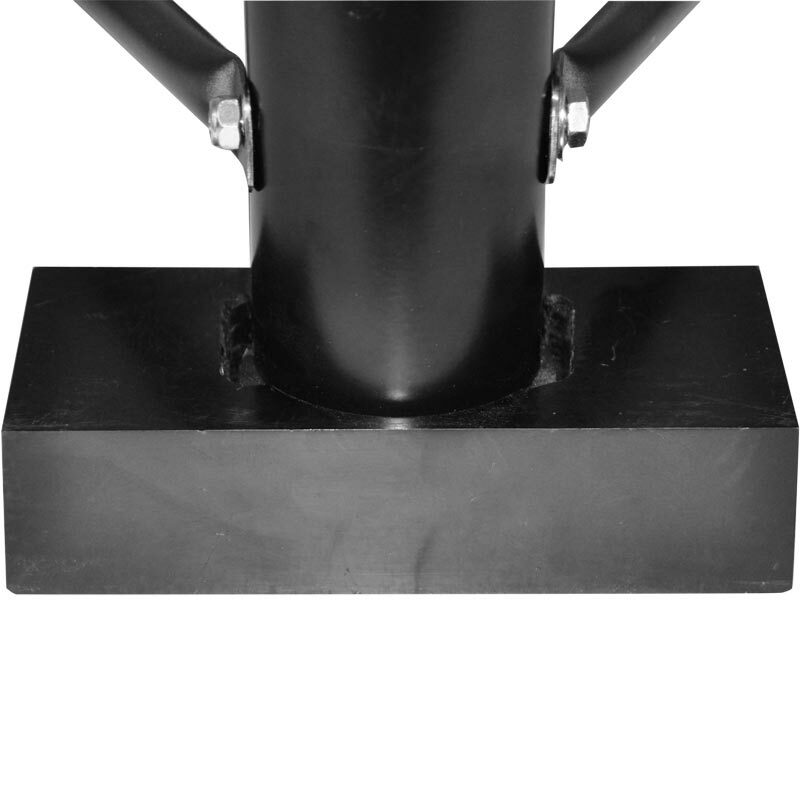 Also supplied with pole pad and ground anchor bolts for added safety and security. Ideal for clubs, schools or at home. 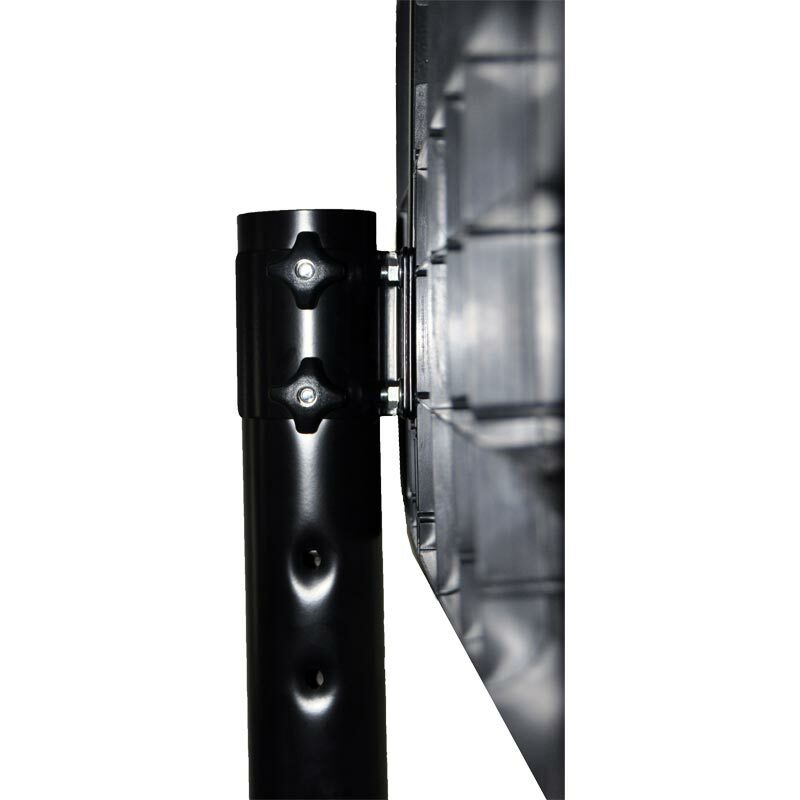 111 x 71cm contact injection rectangular pp backboard with UV inhibitors T-bar support. Height adjusts from 2.28 - 3.05m (7'6" - 10').